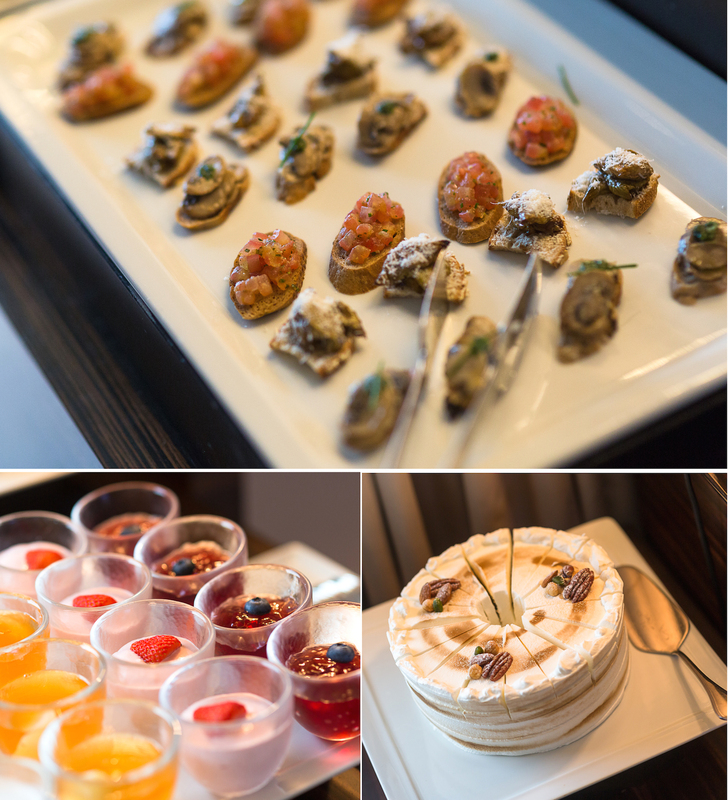 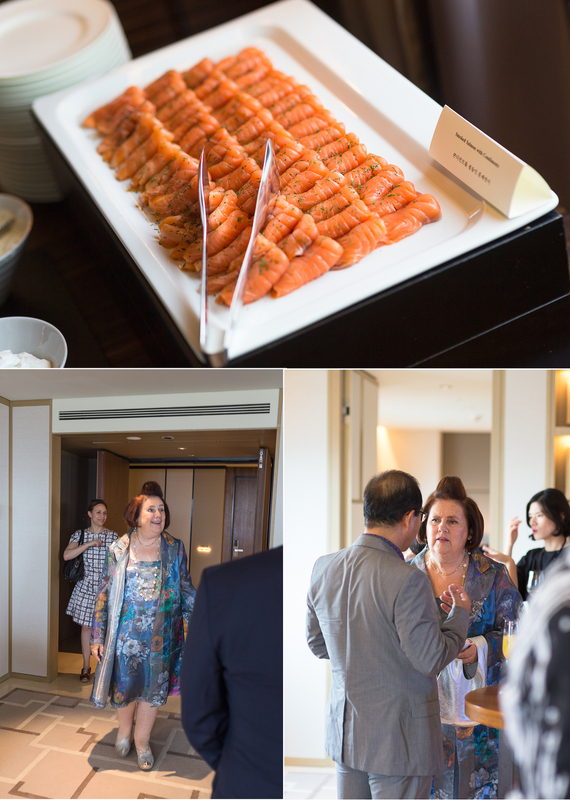 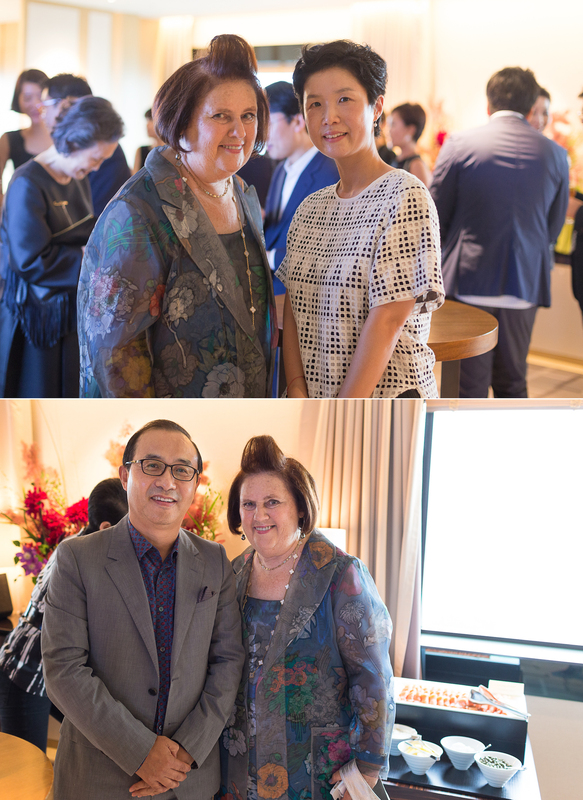 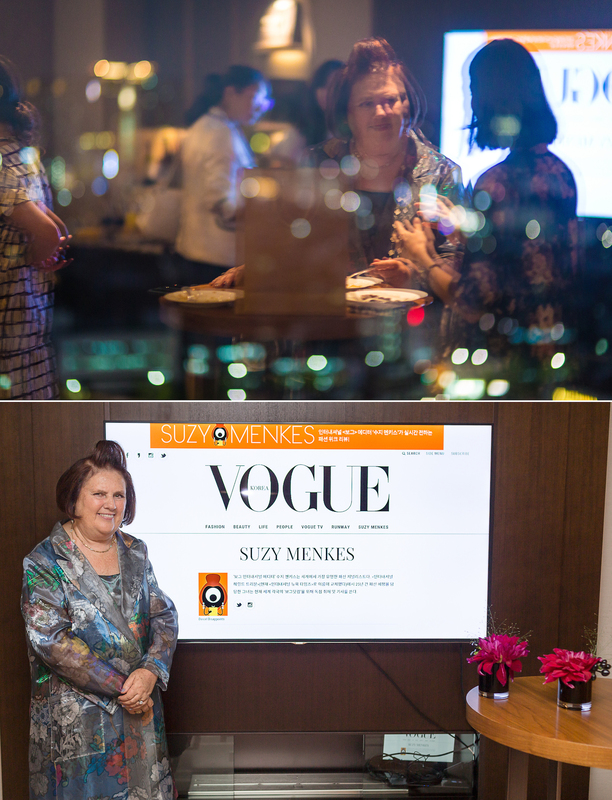 Here is the second day of my event photography for Suzy Menkes. 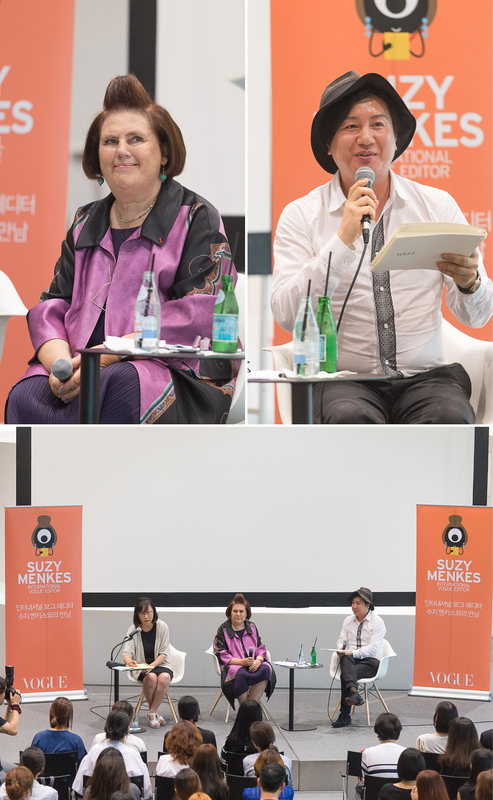 The first part can be found here: Suzy Menkes Day 1. 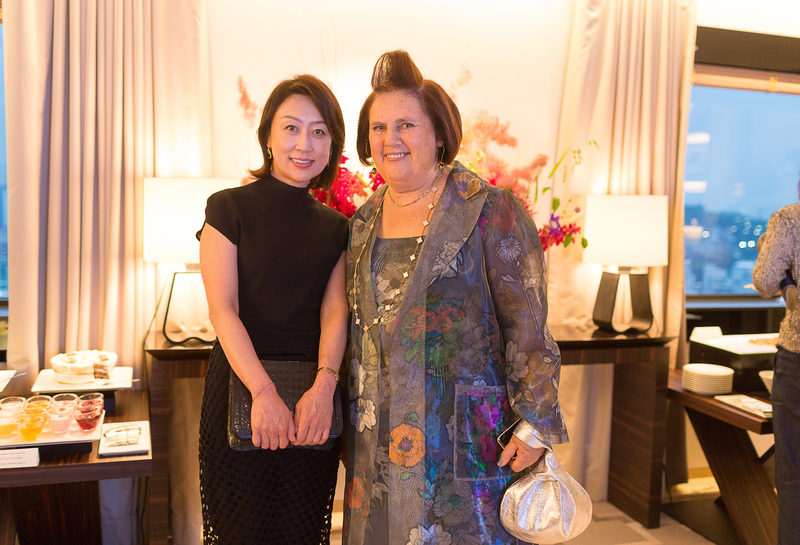 My second day with Suzy Menkes and her team also began at the DDP. 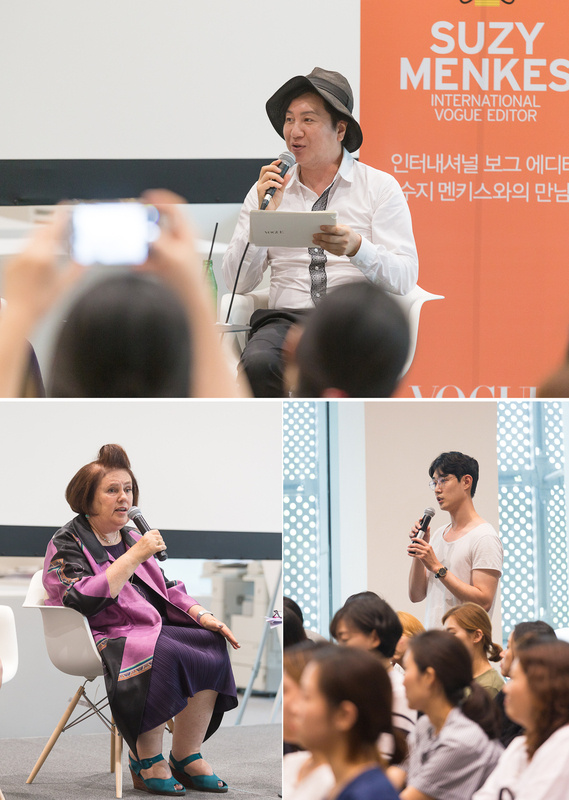 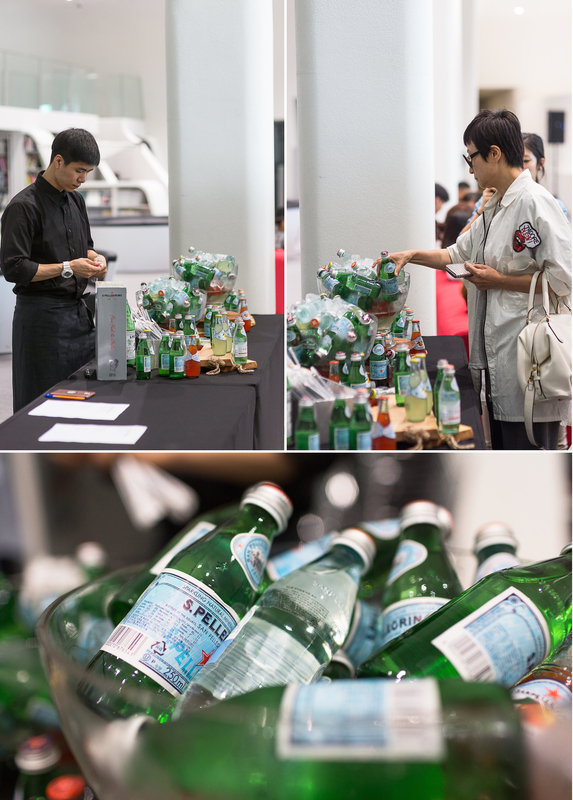 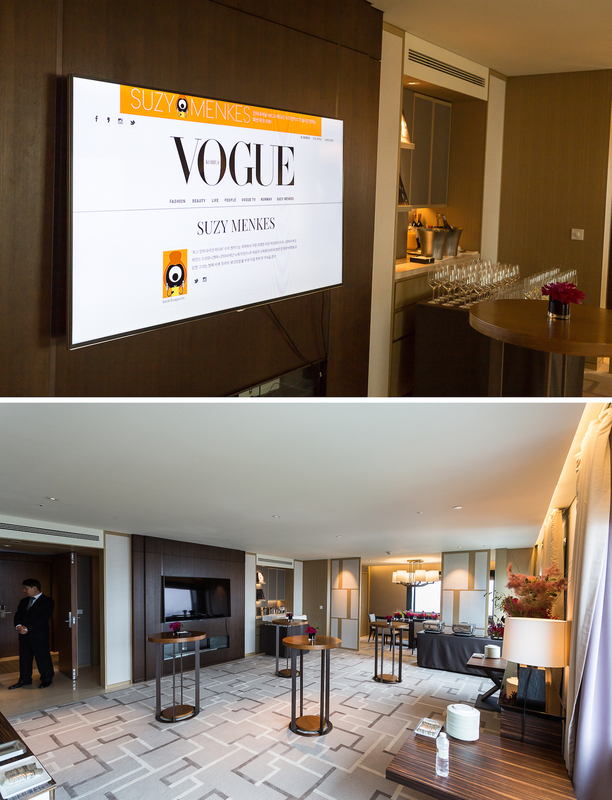 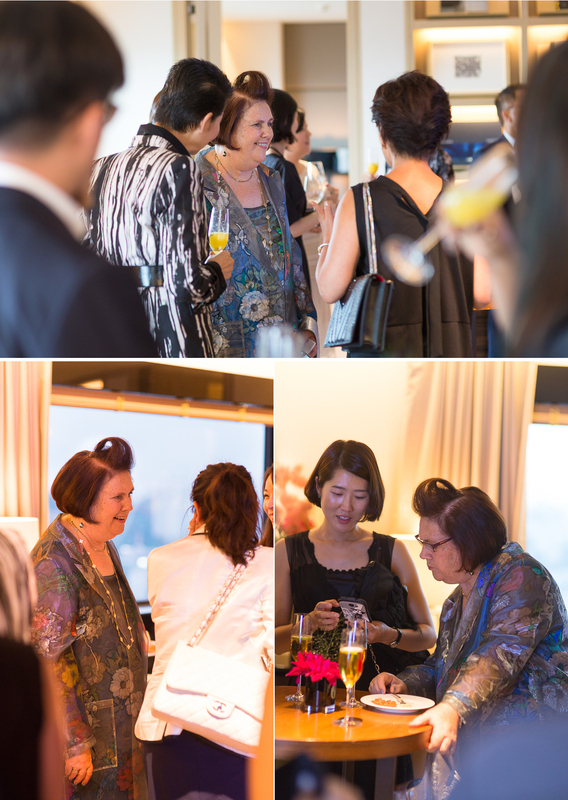 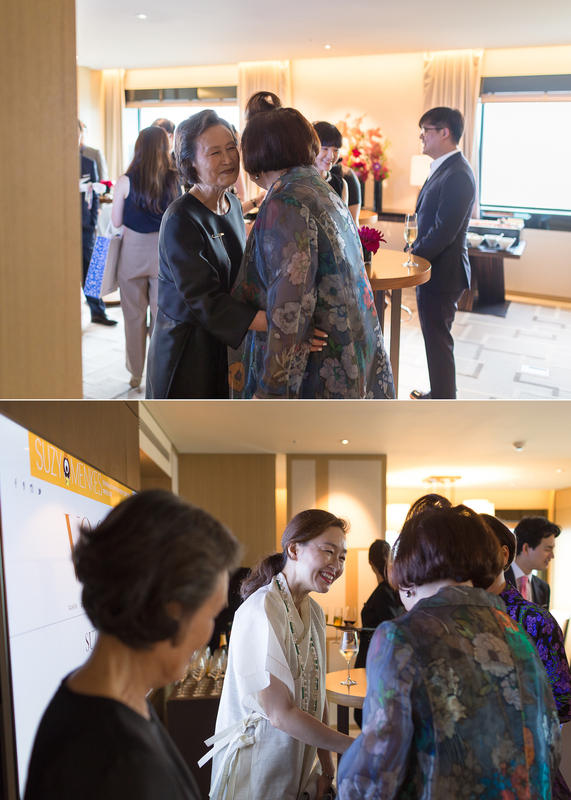 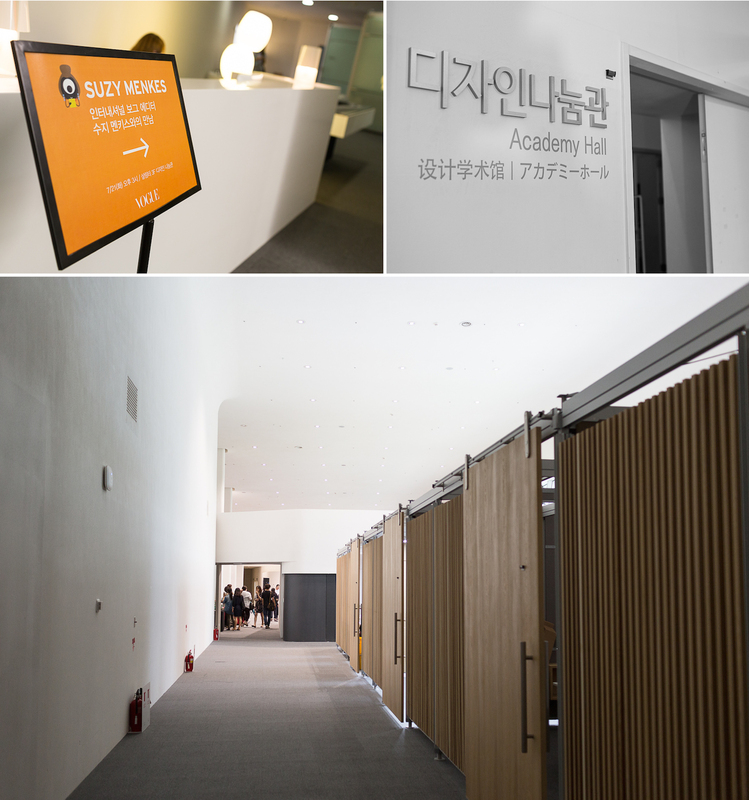 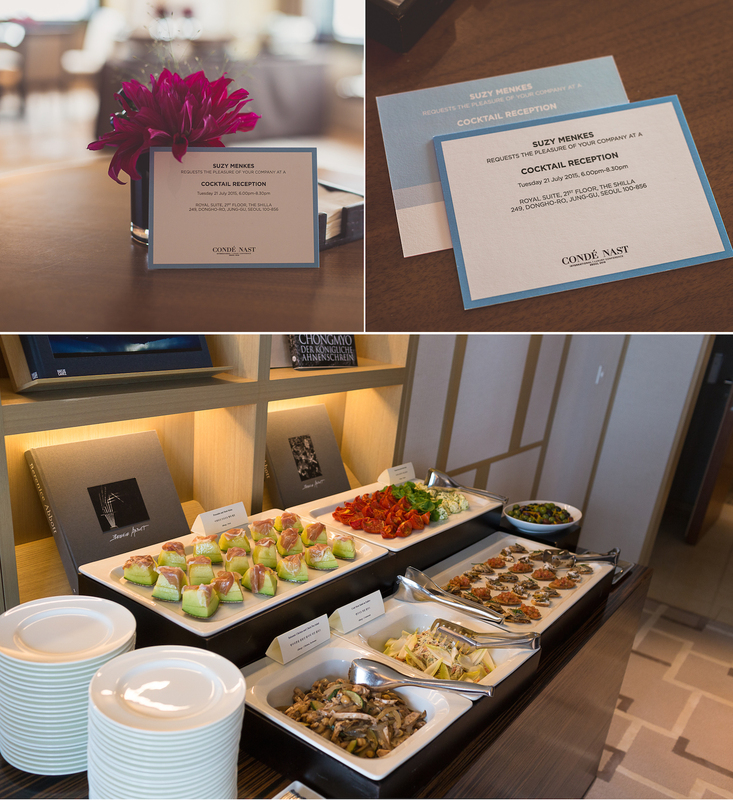 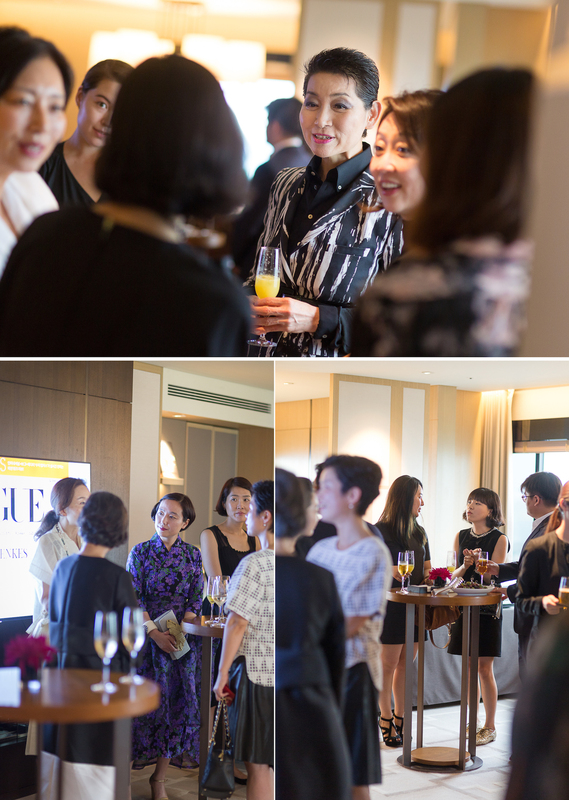 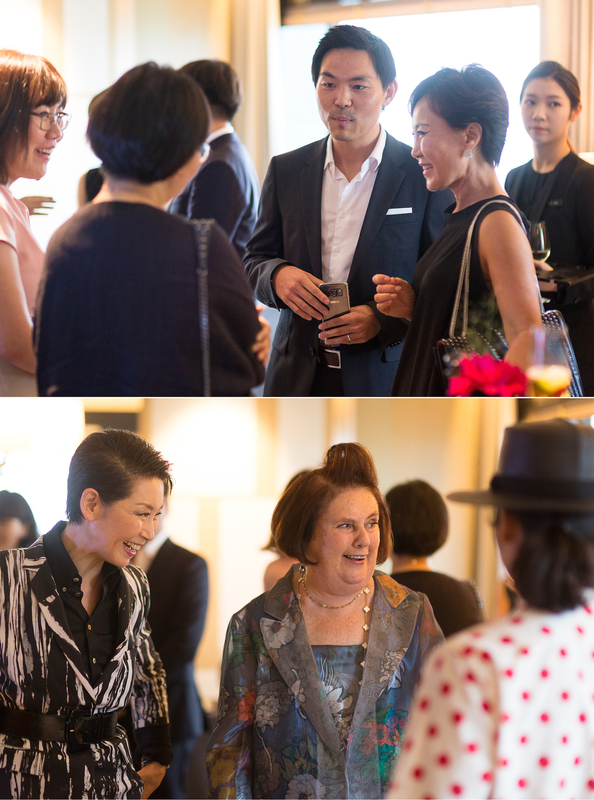 Doosan and Vogue Korea worked together to organize an event for fashion students to hear Suzy Menkes speak. 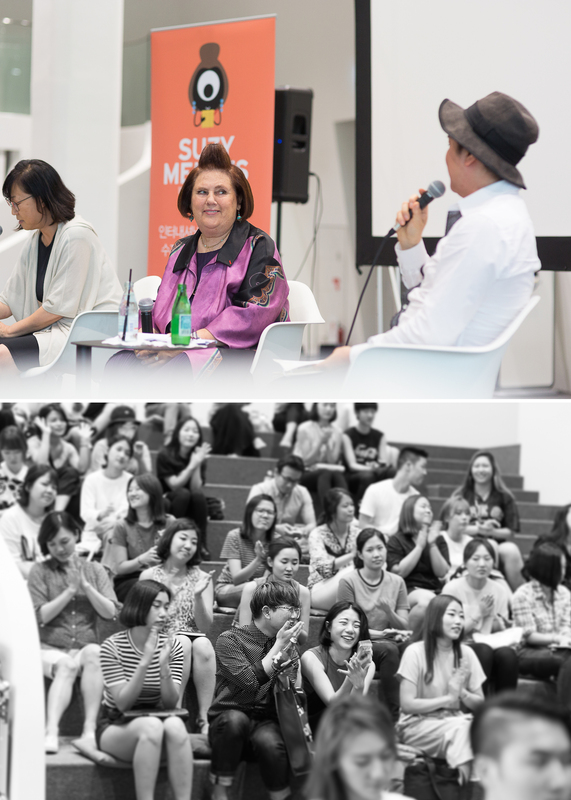 The session began with Professor Kan Ho-sup moderating a Q&A with Suzy, followed by an open Q&A with the attending students. 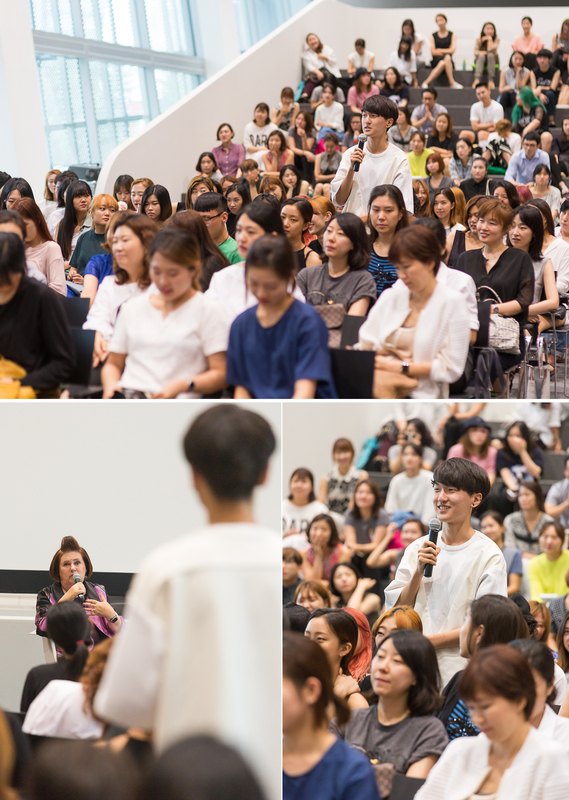 My favorite part of the Q&A was when Suzy explained the reason for her trademark pompadour hairstyle: She didn’t like her hair constantly covering her face so she asked her hairdresser to style it to prevent this annoyance; the pompadour was the result, and it’s stayed with her since! 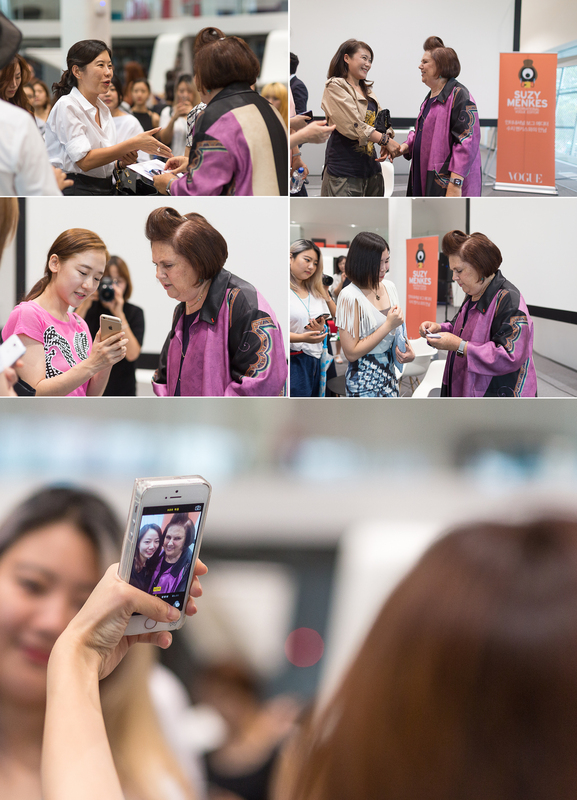 The session concluded with attendees meeting Suzy and taking pictures with her. 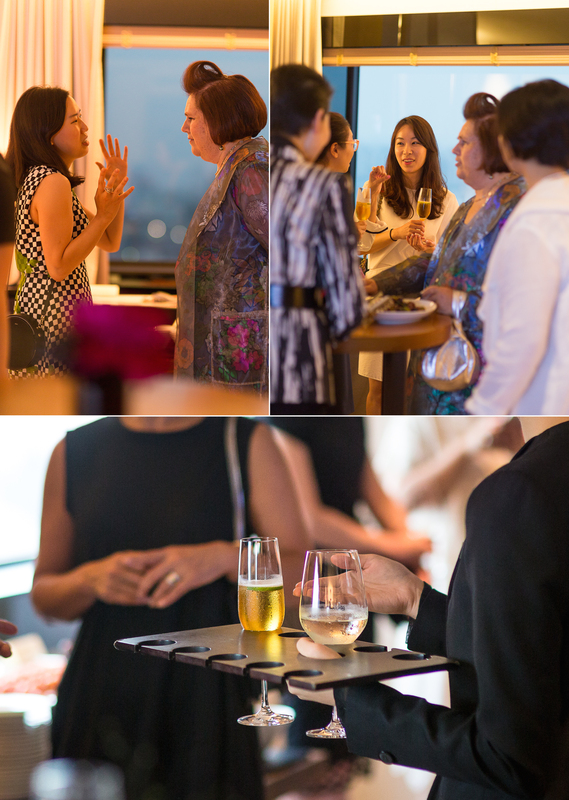 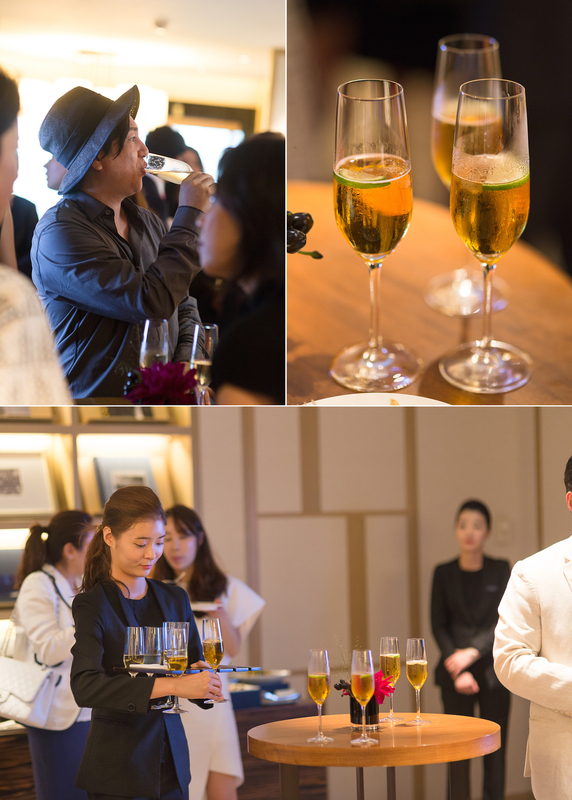 After the session, we made our way to the Shilla Hotel for the cocktail reception. 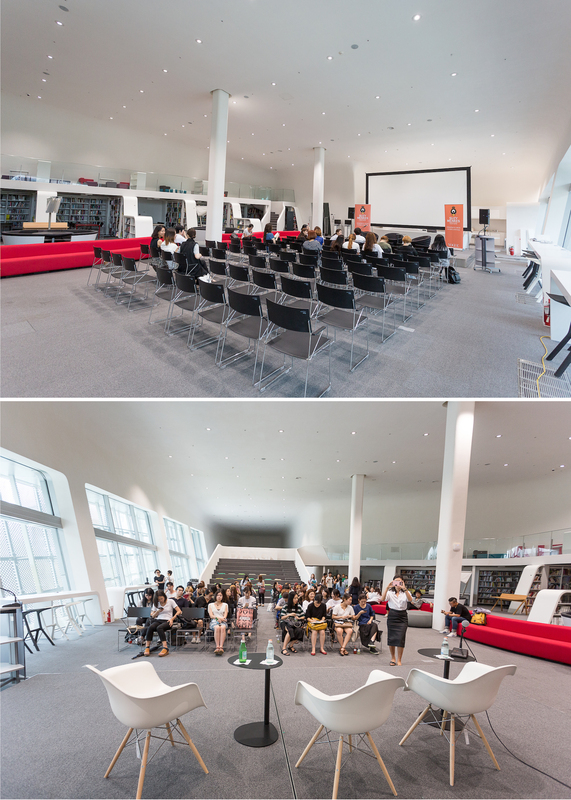 It was a tight space to work with, but I was able to get some great voyeuristic-type shots by standing on one end of the room and shooting through the crowds to people on the other end. 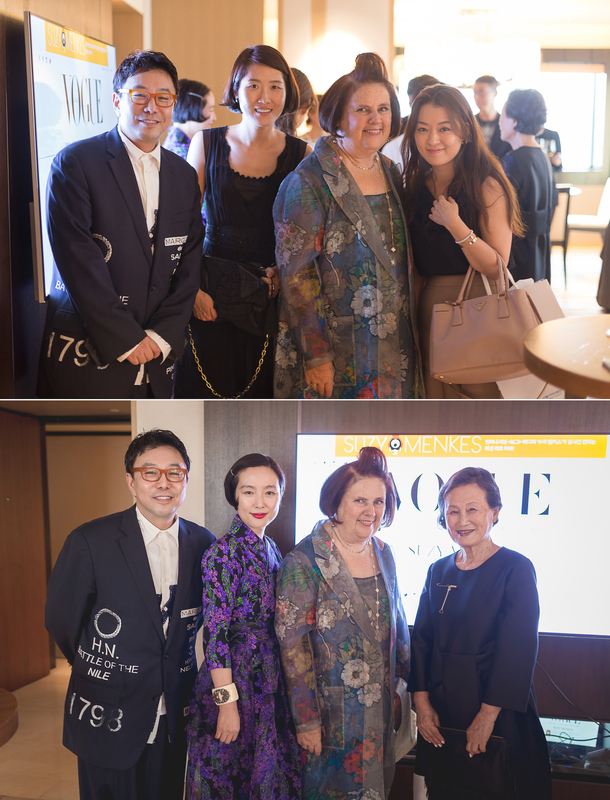 There were lots of high-profile people from the fashion industry such as Steve J & Yoni P and Ms. Sung-Joo Kim, the CEO of Sungjoo Group/MCM, just to name a few. 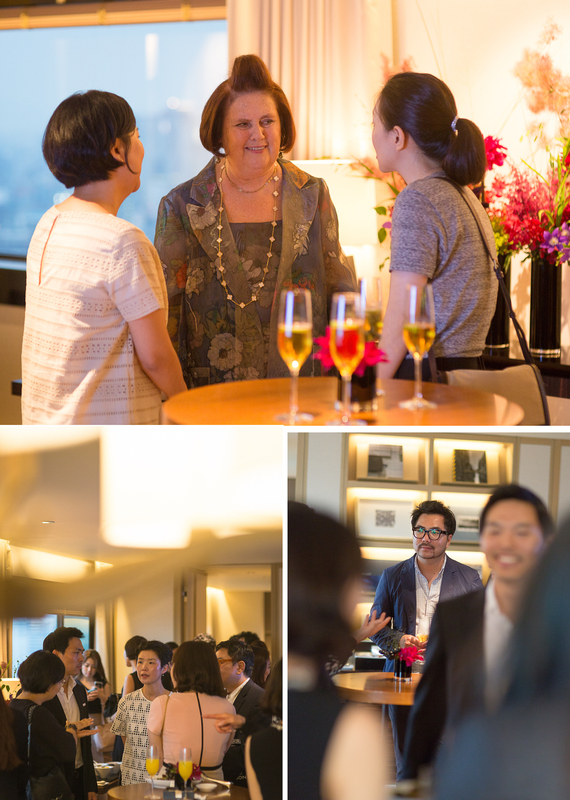 The small room was full of energy as everyone networked, drank, ate and had a good time. 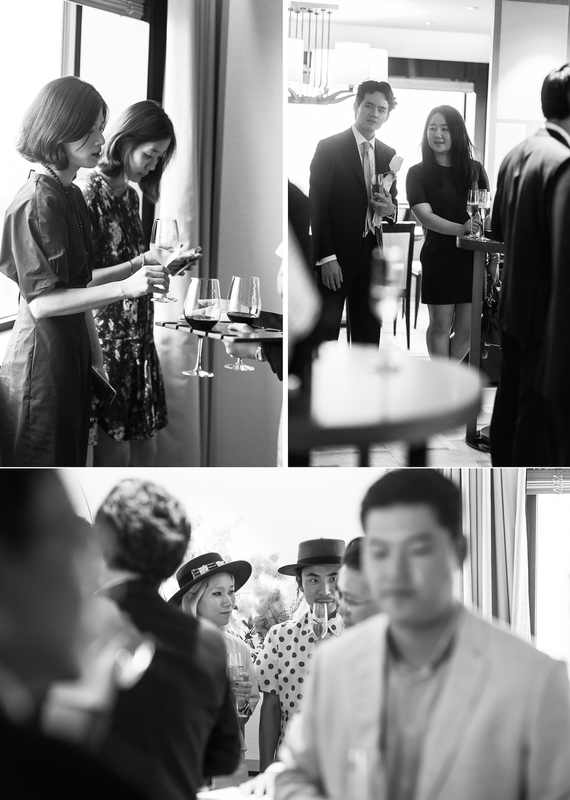 The highlight came when Suzy gave a toast to thank everyone for making her time in Seoul such a memorable one. 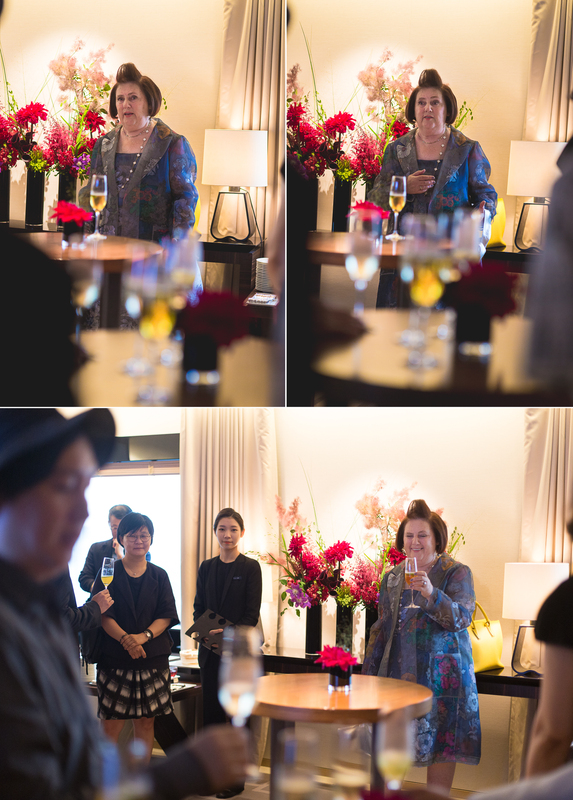 It was a long two days of photography, but one that I thoroughly enjoyed. 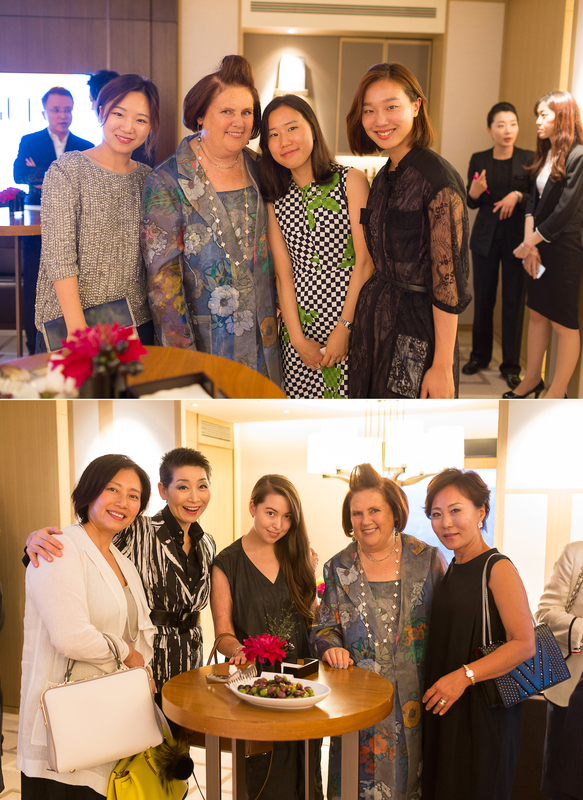 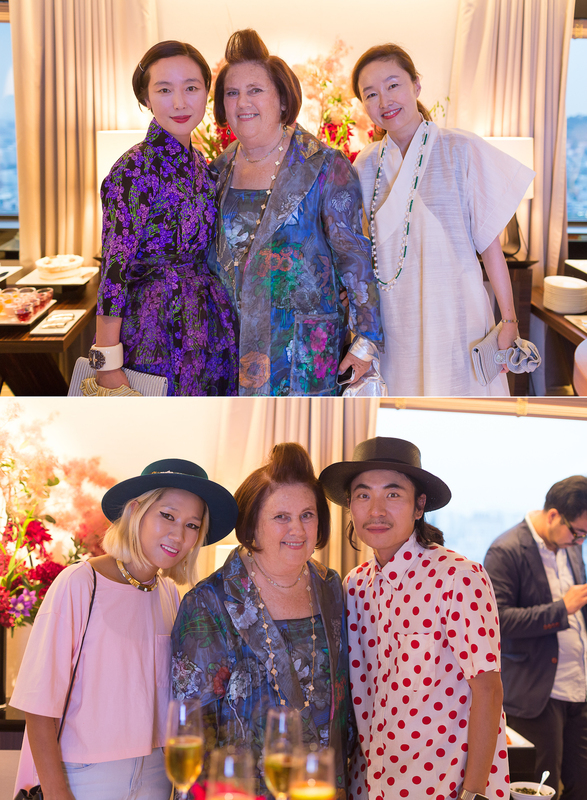 Suzy Menkes has an amazing team around her and kudos to all of them for organizing her trip to Korea. 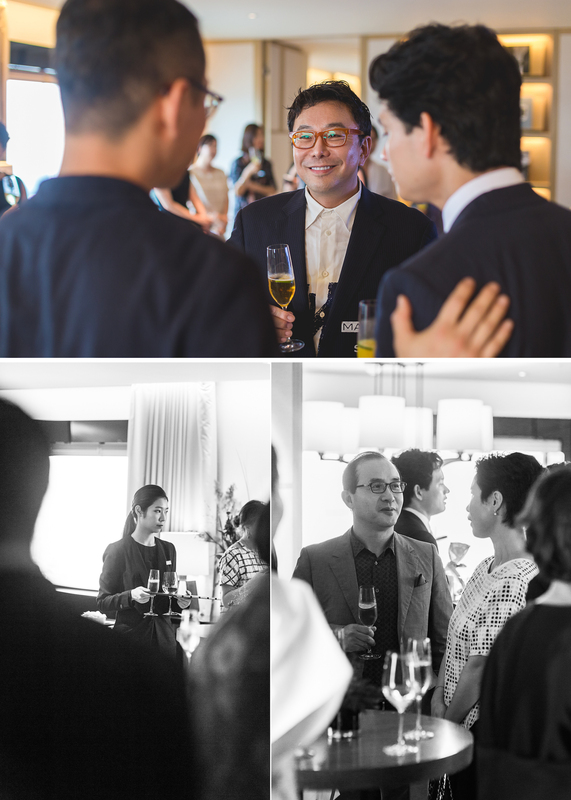 I’m sure they will do an excellent job preparing for the Conde Nast International Luxury Conference in Seoul next year (Conde Nast). 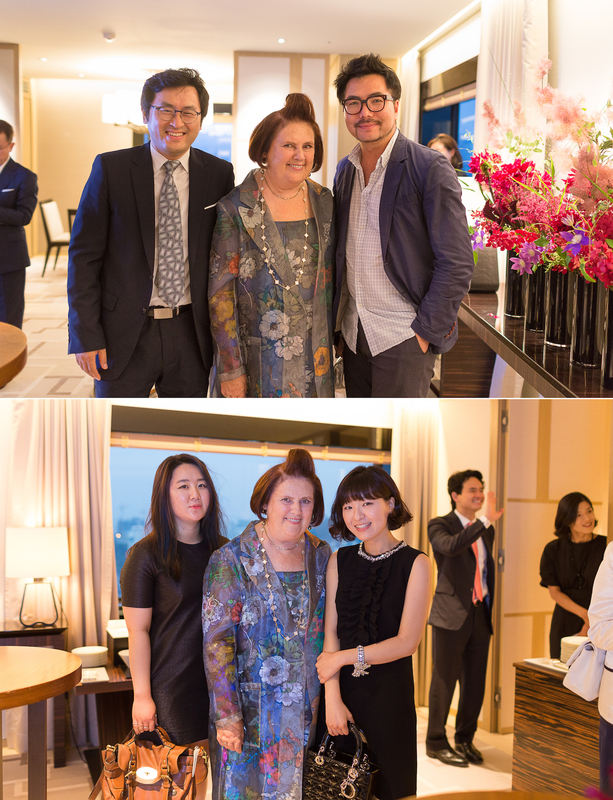 Thank you Suzy, Adrian, Liz and Natasha for allowing me to be a part of your trip to Seoul. 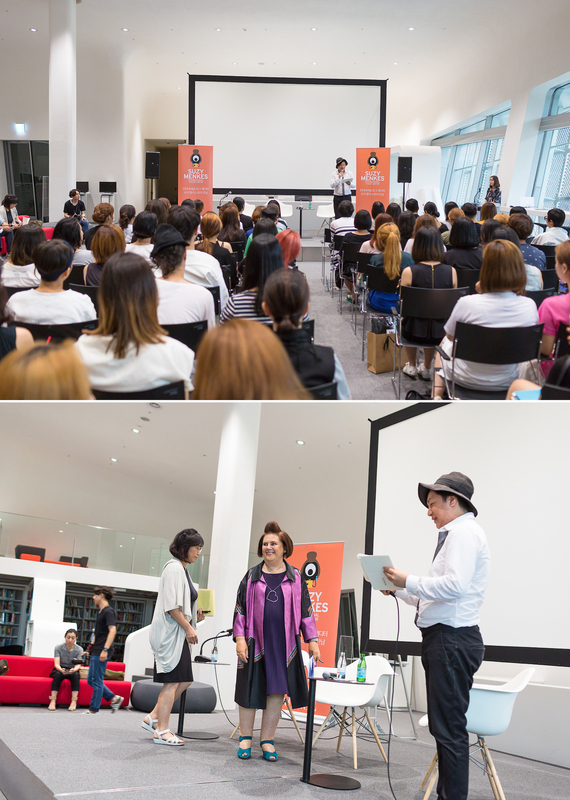 I hope to see all of you again next time!